According to a Harvard study, Americans spend approximately 100 hours driving every year. Unfortunately, this raises the likelihood of experiencing an automobile accident. There are countless injuries associated with automobile accidents, but perhaps one of the most common injuries is whiplash. Whiplash can be a difficult injury to diagnose, or understand, and it doesn’t always present itself at the scene of the accident. Plenty of people tell first responders that they do not need any medical attention, and then wake up the next day with neck pain. Some people may not experience pain for weeks. Brick, New Jersey is a congested and busy place to drive, so unfortunately, here at the Back and Neck Center of Brick, we diagnose and treat whiplash patients on a consistent basis. Whiplash can be a tricky injury to deal with, so be sure to visit an expert Chiropractor who can accurately diagnose and treat you. WHAT IF MY ACCIDENT WAS ONLY MINOR? Though it may seem to go against common sense, and laws of physics, severity of the accident does not always match the severity of whiplash. Lack of car damage. While examining the exterior of your car after an accident, you may feel that there isn’t much need to worry, because the damage is minimal, but not so fast. If the exterior did not take on most of the impact, there is a good chance that the energy of the impact was absorbed through the seat of the car, possibly resulting in worse whiplash. There are examples of cars that appeared crushed in an accident, but since the exterior absorbed the energy of the crash, the driver suffered less whiplash. Low speed crashes are no exception. There have been whiplash cases reported at speeds of 10 MPH. 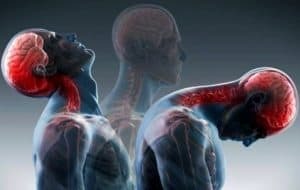 If you are someone who is already living with back or neck issues, you could experience whiplash at these low speeds due to already being compromised. Some cases of whiplash can be minor, with symptoms disappearing in a couple of days. Other cases can become chronic issues, with patients experiencing severe pain, and even cognitive and emotional issues. Through every case is different, here are some common symptoms of whiplash. You may experience just one of these symptoms, or several. Symptoms may also fade away and return. If you experience any of these symptoms, it would be advised to visit an experienced chiropractor for an evaluation. Here are some less common whiplash symptoms. We hope you found this article useful. As always, if you live in the Brick, Toms River, or Ocean County area, and are in search of an experienced chiropractor, the Back and Neck Center of Brick can help. Our practice has been serving patients in the Ocean County area for over 28 years! 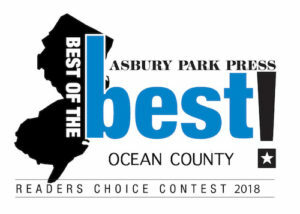 The Back and Neck Center of Brick is Voted #1 Chiropractors in Ocean County 9 Times in a Row. From 2009 – 2017 by Readers of the Asbury Park Press!